I was recently asked if I wanted to review a Thermafreeze Ice Pack and I thought to myself, I have never thought of buying any ice packs. If one of my girls injured or had a bang I always got some tissue with cold water but it would always end up getting pretty messy. So I thought I would give these Thermafreeze Ice Packs a go. 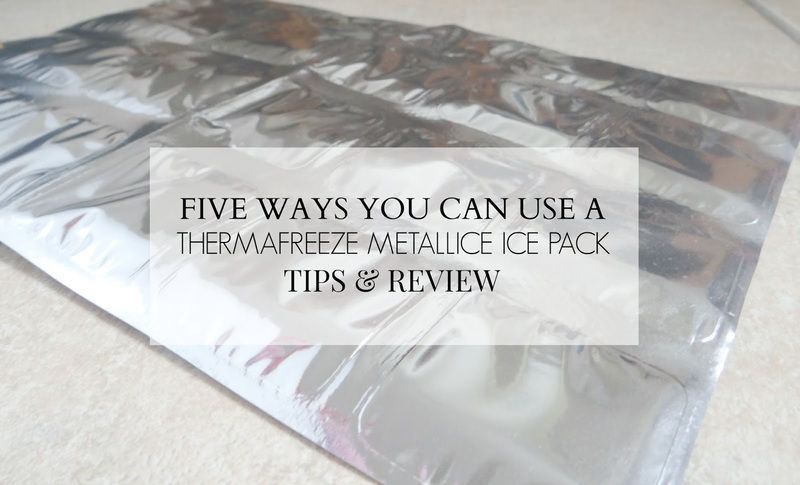 There were a few designs to choose from and I chose a simple and plain Metallic Ice Pack. The Mettallic Ice Pack comes with 24 cells/squares sized 265mm X 380mm. The gel inside the packs are non-toxic and the Ice packs are food safe and is fully FDA approved. Since having the ice packs I haven't had to use them much, not yet anyway. But I have thought of many way of which I could use them and they have been very handy to know I have got them in hand. I love going out for picnics. If I had some yoghurts, drinks or any other food I needed to keep cool then I could put these ice packs in a box with the food. If a child has hurt or banged themselves they say a cool flannel or ice pack soothes it. Very handy to have if you are a parent. 3. Keep your drinks cool! If you're planning on going for a festival, pack these ice packs in the drink box, perfect cool drink when you arrive at your festival. Put a nice cold ice pack somewhere on you to cool you down from the heat. If you're feeling a little pain then maybe an ice pack could help soothe it. What I personally like about these ice packs is that they come in different styles and they are very durable. You can forget about spending so much on loads of different ice packs because with these Thermafreeze ice packs you are sure able to use these ice packs over and over again. I would really recommend these ice packs. Head over to the website Thermafreeze for more. * I was given two ice packs free of charge in return of an honest review. I was not paid to write this review. As always, all images and opinions are my own. Also, the 5 tips are my advice, not from a doctor or any professional.